I wake up most mornings a little nauseated. This is just a fact of my life I've some to deal with, so let's not dwell on it too much. I know how to deal with it. I need liquid and a little bit of light calories, but not so much that it will make me feel worse. But I need to choke something down, and this is the thing I've come up with. Because while choking down food for my nausea is not something my brain can wrap itself around, there are few things I can't say no to when it comes to beauty. Vanity has it's own set of benefits. 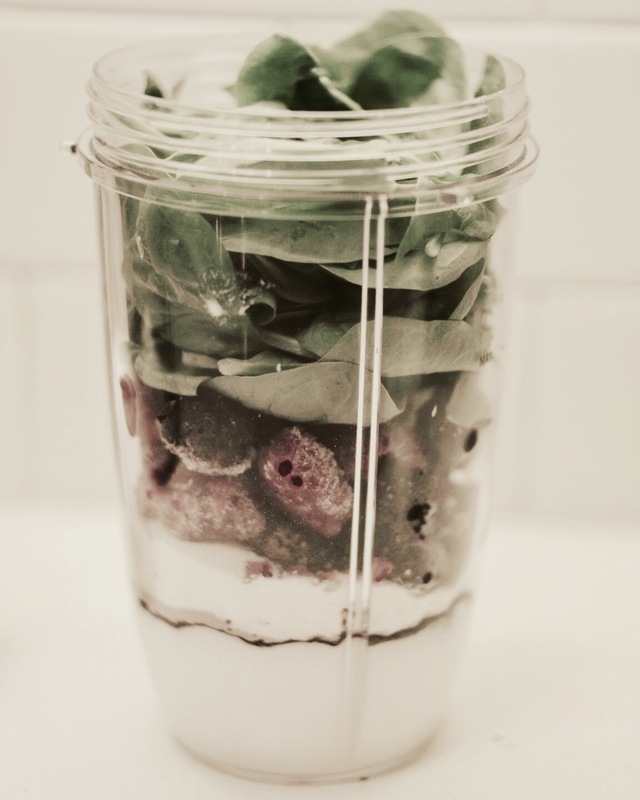 And that's where this "beauty smoothie" comes into place. It's got yogurt for probiotics - great for tummies and balancing problem skin. 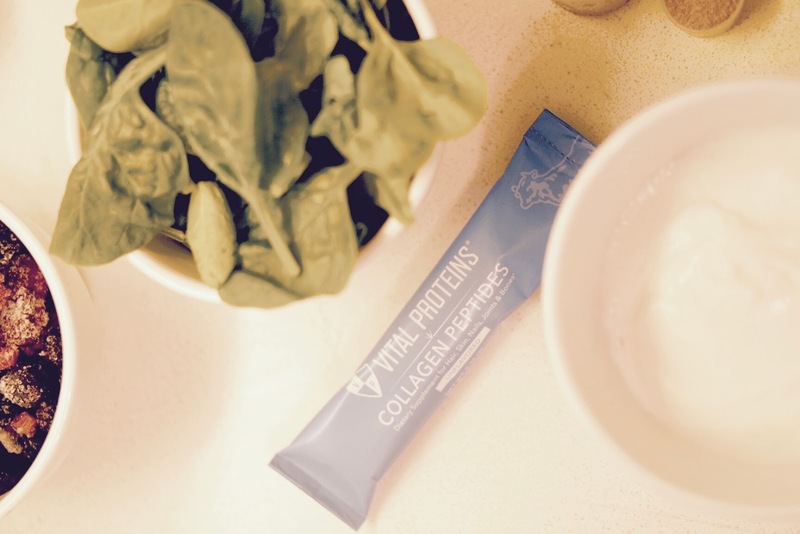 Collagen peptides, aka the thing that makes bone broth and marrow so great, which is amazing for hair, nails, skin, and in my case - since we are playing the cancer card today - neuropathy. It's got some green things, and some frozen berries because they taste good. Best of all, it's easy. I wish this were a better recipe but measuring is for suckers.. Which also might be what makes this so great for rough mornings. Also works awesome for hangover mornings, wedding mornings, big presentation mornings... You get where I am going with this. 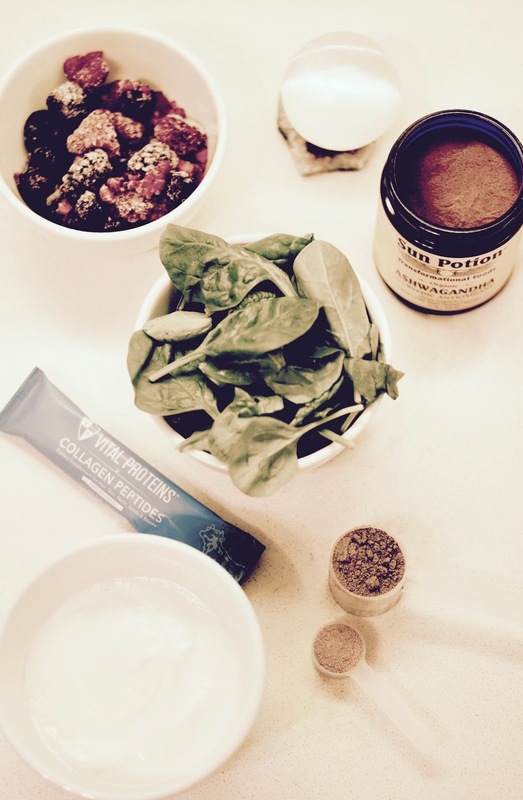 Throw all ingredients in a blender. Drink.